Dion Lewis had by far his most effective year as a pro in 2017, rushing for 896 yards on 180 carries and catching 32 of his 35 targets for 214 yards, adding 9 total touchdowns. The output was good enough to be 13th overall running back last year. 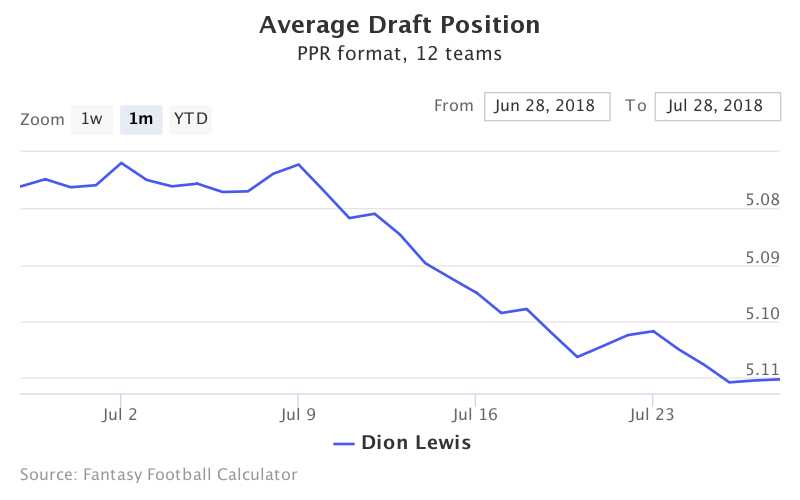 Lewis is currently being drafted as the 28th running back and has seen his ADP drop to 5.12 in PPR fantasy football ADP. Data is from 12-team PPR mock drafts. That late fifth round ADP puts Lewis in a RB3 or flex draft position. With his move from the Patriots, drafters are not expecting a high return and feel more comfortable taking higher upside players before Lewis. 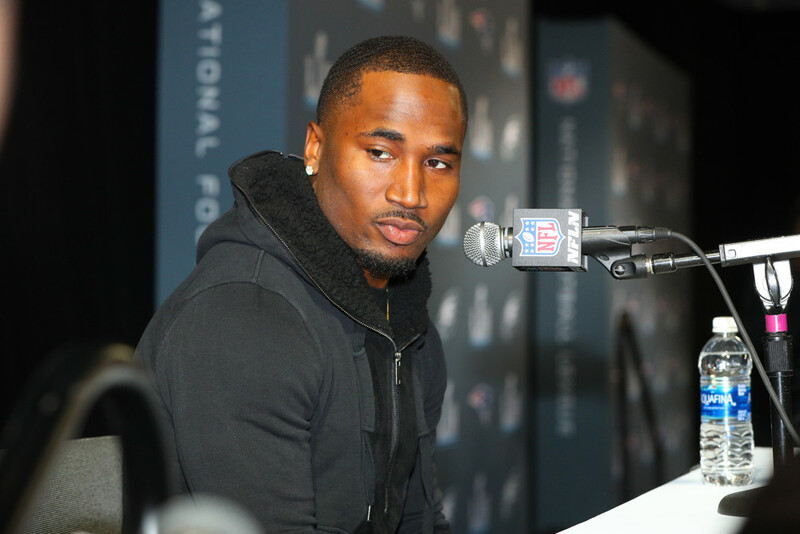 Dion Lewis signed a 4 year, 20 million dollar contract (8.25 million guaranteed) with the Titans this off season, moving on from the New England Patriots. In today's world that is a pretty solid contract for a running back, indicating that the Titans see real value in Lewis' game. While Derrick Henry will come into 2018 as the lead back, the team clearly plans to use Lewis to his full potential. The biggest fear with Lewis is his health. He has only appeared in 54 of the 112 possible regular season games in his career. But a healthy Lewis has been a productive player, as he has averaged 4.8 yards per attempt and 8.1 yards per catch through his career. With the injury fears and the fact that Lewis will slot in as a change of pace back, it makes sense that he is outside the top running backs taken. But Lewis showed last year that he can effectively carry the ball through the tackles and will see almost all passing down opportunities. That means Lewis is likely walking into 170 touches, over 3 quarters of what he commanded last year. Health permitting, Lewis is in a good position to produce. Lewis' assumed drop in touches continues to tank his ADP, and fantasy players are understandably pessimistic about his chances of repeating his outstanding 2017. But the hate has gone too far. Lewis will still be heavily utilized in the Titans offense and offers a high floor, especially in PPR leagues where he should see 3 or 4 catches a game. I wouldn't reach for Lewis, but he makes a great low end RB2 or flex option.